South Africa’s much maligned red grape Pinotage is becoming ‘cool’ in the eyes of a new generation of open-minded wine drinkers, according to Anthony Hamilton Russell. Speaking at the Mentzendorff portfolio tasting at One Great George Street in London, the winemaker and proprietor of Hamilton Russell Vineyards in Hemel-en-Aarde, suggested that a new generation of wine consumers were approaching the grape without the negative prejudice that had affected it in the past. “People used to think it was cool to say, ‘Ha, I can’t stand Pinotage’. Now it’s really not cool to say that any more. It shows and ignorance and a lack of exposure and all that kind of stuff. So already it’s changing. And we’re finding it’s a very easy wine to sell. “It’s come from a new generation of consumers that don’t know enough about it to have the prejudice. They’re just looking at it fresh, at what’s in the glass. “Also [there is] this slight pulling back in our industry of that excessive ripeness and excessive alcohol… And then people are making fewer mistakes. There’s less brettanomyces, there’s less bacteriological instability. “You [were] just getting these really boring New World sweet monsters and people got bored of that. Now people are doing it differently, they’re pulling back a bit and trying different things. Hamilton Russell suggested that South African wines such as the Hamilton Russell Pinotage had an opportunity to thrive in an important section of the market, offering consumers a wine of refinement without any of the ‘baggage’ of Old World classifications. “South African wine always is between the excesses of the New World and the austerity of the Old World,” he explained, “so people that have grown up learning to put their beer down by picking up an Australian Syrah, those people have moved on. Hamilton Russell has been producing a Pinotage under the Ashbourne label since 2001. Traditionally the wine has been held back for up to five years before release. Recent vintages of the wine have been blended with small amounts of Bordeaux varieties; however Anthony Hamilton Russell said he had gradually become dissatisfied with the blending approach to the wine. Perhaps reflective of this, Hamilton Russell did not release a Pinotage in 2011, 2012, 2013 or 2014. From the 2015 vintage, which will be released “in early 2017”, the estate’s Ashbourne Pinotage will be 100% Pinotage from a single vineyard. The wine will be aged in foudres and other larger format barrels with only a light toast, Anthony Hamilton Russell said. He hailed the 2015 vintage as “extraordinary”. 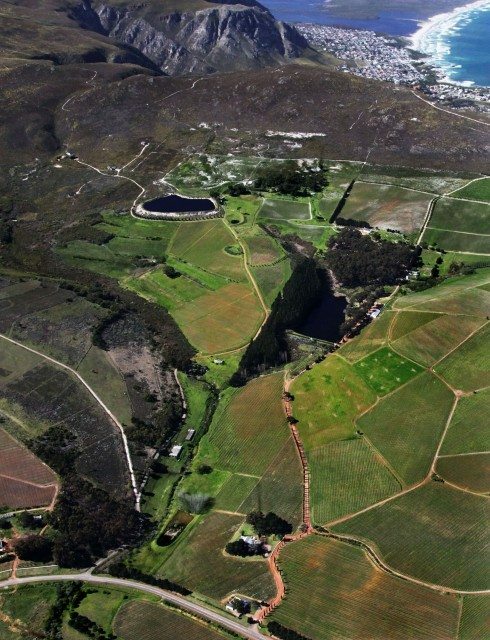 “You have to feel your way into a wine style and what this is is our attempt to feel our way into the best possible expression of Pinotage,” the winemaker explained. I don’t think we’ve got there yet but I think we’ve made enormous strides. If you were to take the ’15, which we have in foudre at the moment, I think it’s extraordinary. While Hamilton Russell said that it might be some time yet before Pinotage became the flagbearer for the South African wine industry, the new generation of winemakers in the country had the opportunity to transform the grape’s image by producing it in a more ‘modern’ style. “Pinotage is going to at some point come up,” he said. “It has to. “It just needs the new generation, the young guys, the trendy guys. My analogy is it’s like an old dictatorial, puritanical father who says ‘Pinotage, you’ve got to love it, because it’s South African’ and his kids totally rejecting it for that reason exactly. And those kids are the ones that are doing exciting things in wine. 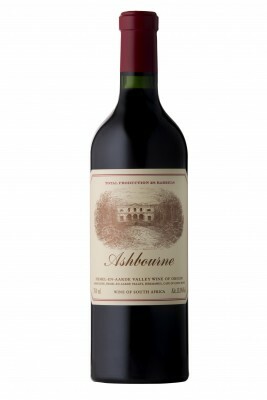 The winemaker said that he had noticed how the tide had already turned back in favour of Pinotage in South Africa itself, and that other important markets such as the UK and US were moving in the same direction, especially as more restaurants and wine bars embraced by-the-glass wine offerings. “The increase of by-the-glass listings means that people are more willing to try new wines,” he said. “The classic way of unpopular varieties becoming popular again is sommeliers that are interested in whatever’s different and new putting them on by the glass in very wine-focused but not expensive kinds of trendy restaurants.